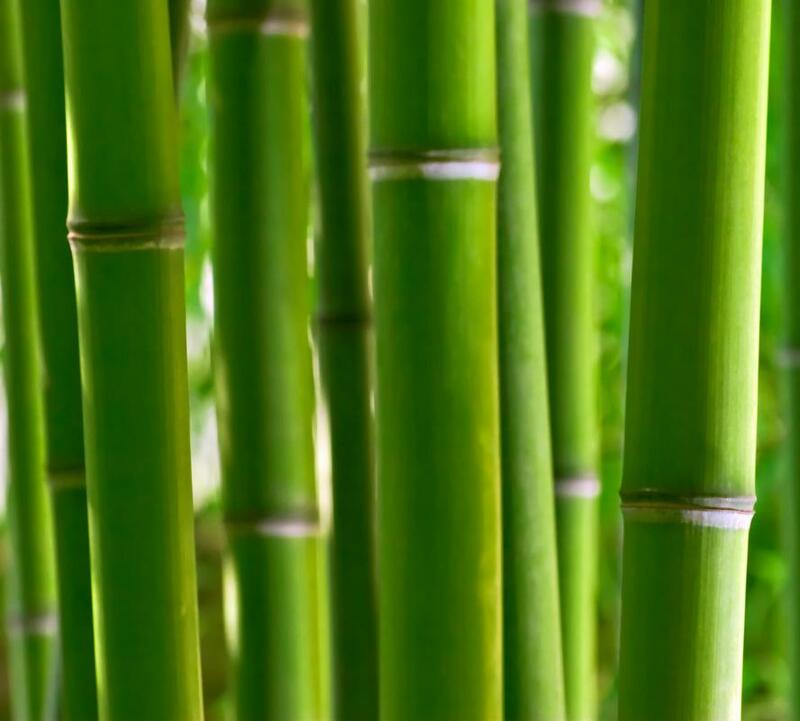 Bamboo is often used to make wooden chopsticks. 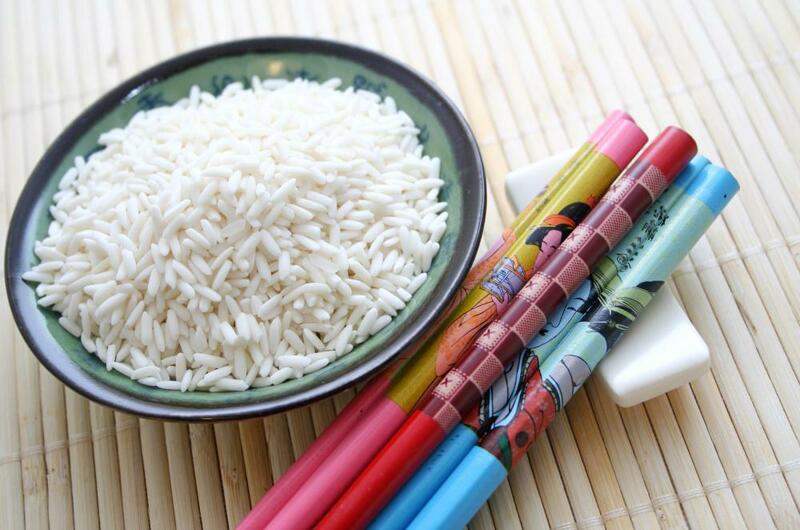 Wooden chopsticks are usually inexpensive utensils, used with foods like rice, bean sprouts and seaweed. Wooden chopsticks are inexpensive versions of the eating utensils commonly used with many types of Asian cuisine. Designed for use with such varied dishes as rice, bean sprouts, seaweed and small cuts of meat, many restaurants supply a set of these disposable chopsticks along with traditional Western cutlery. Intended for one time use only, the chopsticks are often purchased in bulk. Chopsticks of all types are utilized in sets of two. One chopstick remains more or less stationary, creating a solid foundation for the food. The opposing chopstick is used to hold the food firmly against the other stick. Once the basic technique is mastered, it is possible to use chopsticks with everything from vegetables to pasta. Wooden or bamboo chopsticks are just as safe to use as the more expensive enamel or lacquer versions. Most of the wood versions are manufactured with a matte finish that makes it possible to grip each chopstick with ease. The sticks provide a low conduction of heat, which helps to ensure they are comfortable to use throughout the meal. Restaurants serving various types of Japanese, Chinese, Korean and other Asian food often provide a set of wooden chopsticks to every diner. Often, the sticks are presented in a paper sleeve. The sleeve sometimes features printed instructions on how to use the chopsticks properly, which can be a great help to people unacquainted with the sticks. It is not unusual for the wooden chopsticks used in restaurants to be joined at the top. These simple chopsticks sets can easily be separated by diners who are more experienced with using the utensils. At the same time, newcomers who are still learning how to hold and manipulate the wooden chopsticks can choose to leave them joined until they are more comfortable with the process. The joined set of wood chopsticks is also a subtle indication that the sticks are new and have not been used previously. Just as many Westerners choose to keep disposable cutlery on hand for use at home, people who enjoy various types of Asian cuisine often choose to purchase wooden chopsticks for use at parties or simple family gatherings. Some retail outlets sell the cheap wood chopsticks in quantities as low as one hundred sets. As with any disposable cutlery, guests and family members use the chopsticks for one meal, then discard them. While wooden chopsticks are great options for one time use, they do not tend to hold up well over time. The simple unsealed wood can begin to deteriorate as well as warp. However, keeping the sticks in an airtight container will slow down the rate of deterioration. Purchasing wooden chopsticks is relatively easy to manage. Many restaurant supply stores will carry the disposable wooden versions. Asian grocery stores are also an excellent source for the low-cost eating utensils. What Are the Pros and Cons of Bamboo Cutlery? What Are the Best Tips for Throwing an Asian-Themed Party? What Are the Pros and Cons of Using Wooden Cutlery? What Are the Different Types of Disposable Cutlery?